This book provides a comprehensive and authoritative account and analysis of restorative justice, one of the most rapidly growing phenomena in the field of criminology and justice studies. brings a variety of disciplinary and interdisciplinary perspectives to bear upon the understanding and assessment of restorative justice. 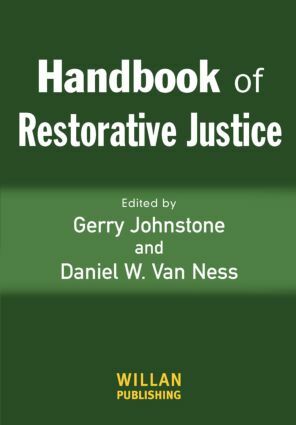 The Handbook of Restorative Justice is essential reading for students and practitioners in the field.